Based on a true story, 2018’s The Old Man & The Gun takes us back to 1981. Career criminal Forrest Tucker (Robert Redford) manages to escape from San Quentin State Prison. Rather than hide from potential recapture, Tucker pushes his luck and commits a slew of heists. Along the way, Detective John Hunt (Casey Affleck) pursues Tucker, and Jewel (Sissy Spacek) falls in love with Forrest despite his outlaw ways. Over the past few months, Redford has teased the possibility that he’ll retire from acting. He doesn’t seem definitive about this, but it does appear possible that Gun will stand as his last film. If so, Redford will go out with more of a snooze than a bang. While not a poor film, Gun nonetheless fails to bring us an engaging character piece. Much of the issue stems from the lackadaisical pacing, as writer/director David Lowery brings us a story without much drama or urgency. Not that Gun needs to be a thrill a minute, but the movie’s sluggish pursuit of its story tends to make it less than engaging. Gun could choose a number of cinematic paths. It could go for “caper movie” thrills, or it could exploit the Going In Style comedic incongruity of elderly bank robbers, or it could examine the mindset of the career criminal, or it could explore the warm romance of a December/December relationship. In the end, Gun chases all of these threads and none of them. It tries to touch on a variety of areas but it lacks the follow-through to develop any of them in satisfying manner. Lowery previously directed 2017’s A Ghost Story, a polarizing film due to its glacial pace. Given that background, I shouldn’t feel surprised that Gun tends to drag, though Gun feels like a Michael Bay movie compared to Ghost Story. That step up aside, Gun just lacks the development to turn into anything satisfactory. As mentioned, it dabbles with different areas and can’t pursue any well. This feels like a particular disappointment in the dramatic department, as Gun clearly wants to deliver something meaningful. It doesn’t, though, as neither Forrest nor any of the other roles develop into evocative characters. Gun comes with a strong cast, as in addition to Redford, Spacek and Affleck, we get professionals like Danny Glover, Elisabeth Moss, Isiah Whitlock Jr. and others. They add a little sheen to the project but don’t get the opportunity to bring much to their generally-brief parts. Ultimately, Gun disappoints because it feels like a missed opportunity. With an interesting theme and a great cast, it should become something more compelling than this. 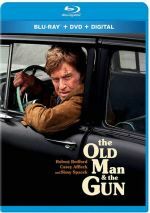 The Old Man & the Gun appears in an aspect ratio of approximately 2.39:1 on this Blu-ray Disc. Shot on Super 16mm, Gun looked fine for that format but nonetheless suffered from the stock’s limitations. I noticed no issues with jagged edges or shimmering, and edge haloes failed to manifest themselves. A smattering of small specks popped up at times but nothing heavy occurred in regard to print flaws. In terms of colors, Gun went with a fairly teal palette that threw out splashes of orange as well. The tones tended to seem a bit flat, again due to the nature of the source film. Due to its status as a low-key character piece, the DTS-HD MA 5.1 soundtrack of Gun didn’t get many opportunities to shine. Nonetheless, it offered a perfectly acceptable soundscape that occasionally delivered more dynamic material. Music filled out the spectrum well, and the general sense of environment worked well. Occasionally the soundfield came more actively to life – mainly elements connected to heists, weather and roads – and those moments opened up the mix in a compelling manner. Much of the movie remained low-key, but the track suited the material, and these more active moments worked surprisingly well. Effects usually stayed subdued, but they always came across as accurate and showed good punch when necessary. Speech sounded crisp and distinctive. Nothing here really impressed, but the soundtrack was worth a “B”. We get a mix of extras here, and we launch with an audio commentary from writer/director John Lowery. He brings a running, screen-specific look at the true story and factual liberties, characters, cast and performances, sets and locations, influences, music, editing, cinematography and connected domains. Expect a pretty strong commentary from Lowery, as he presents a very good overview of his film. He touches on a nice array of topics and does so with enthusiasm and candor in this informative, engaging chat. Called Everything Else We Shot, a collection of 16 deleted scenes goes for nine minutes, 10 seconds. Actually, only a few qualify as true “deleted scenes”, as most simply offer brief snippets that don’t tell us much. These add a little ambience to the tale but don’t go much of anywhere. The longer clips manage a few nuggets of character information, though. A longer sequence called Prison Cats runs two minutes, 53 seconds. It shows the film’s Tom Waits character as he works in prison. It’s unclear if this acts as a scene intended for Gun or it’s something shot on the side, but it’s pretty forgettable either way. 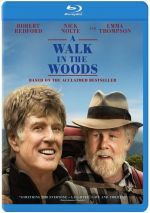 Three featurettes follow, and with On Filmmaking, we get a 12-minute, 50-second reel that involves Lowery and actor Robert Redford. As implied by the title, the two discuss aspects of movie-making processes as well as filming Gun. That sounds interesting, but the show doesn’t tell us a lot of substance. We get some basics but not much that seems memorable. 31 Wake-Ups goes for six minutes, 34 seconds and gives us footage from the set. We see the shooting of a couple scenes in this enjoyable “fly on the wall” reel. For the last featurette, we find the three-minute, 15-second Joining the Hunt. It offers notes from former police detective John Hunt, the inspiration for the movie’s character. Hunt tells a little of his experiences and his connection to the film. Though too short to tell us much, “Joining” still offers a nice look at the real person behind the story. A Gallery offers 24 photos from the shoot. It becomes a mediocre compilation. The disc opens with ads for Can You Ever Forgive Me?, The Favourite and Widows. Sneak Peek adds promos for The Sisters Brothers, Three Billboards Outside Ebbing, Missouri and The Shape of Water. We also get two trailers for Gun. A second disc provides a DVD copy of Gun. It includes the same extras as the Blu-ray. Though it comes with ample dramatic potential and an overqualified cast, The Old Man & the Gun moderately fizzles. The movie dabbles in different thematic areas but fails to commit to any of them in a satisfactory manner. The Blu-ray brings acceptable picture and audio along with supplements led by a very good audio commentary. Gun meanders too much and never quite connects.